Tarot cards are one of many forms of divination. They are commonly used to measure potential outcomes and evaluate influences surrounding a person, event or both. 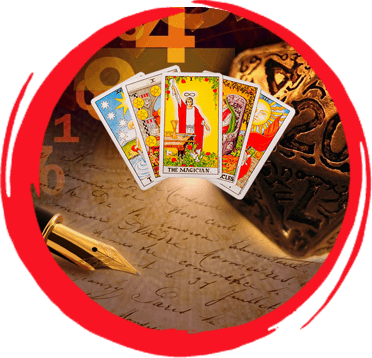 Tarot reading thus arms you with additional information so that you may make more informed choices. 1. When you feel stuck in a rut or feel directionless – the Tarot can be very effective at suggesting new directions you could be exploring. It also helps to identify what unfinished business you have that is holding you in your current position. 2. When starting a new phase in your life – some people like to have a Tarot reading close to their birthday, or a significant event, as they feel it’s a time when they are moving on to a new stage of their life. The Tarot may be able to suggest what changes are coming, what themes are going to be more important, and what directions you should be exploring in the next part of your life. 3. When starting out on a new project – the Tarot can be very effective at suggesting what new factors need to be considered, what resources are available to you, what you may have overlooked, and what opportunities you may not have considered. 4. If you are struggling with a part of yourself, or your life, and wish for new insight – the Tarot is an effective way of getting a new perspective on old situations or suggesting what issues you need to address about your relationships, attitudes towards areas of your life, etc. 5. When considering a major decision – you should not expect a Tarot reading to make a decision for you. However, a reading can highlight the most important issues to consider, suggest possible consequences of particular directions, and even suggest factors that haven’t been considered properly. 6. When you wish to think more carefully about yourself – a Tarot reading can give you a lot to think about when considering your own personality, the decisions you make in life and how you interact with the world as a whole. If you intend to spend more time considering your life and the way you live it, a Tarot reading can be an excellent starting point. You only need to set aside some time for the Tarot reading session. It can be conducted in-person, telephonic or via video calling. You ask me questions on different subjects of your interest and I draw cards for these. I then analyse the meaning of the drawn card in relation to your question and provide with answers to your queries or dilemma so that you can take a suitable action. Q. What kind of questions can I ask in Tarot Card? A. You can ask any question which is specific. e.g. : I am going to appear for a job interview tomorrow. Will I be able to crack it? Q. Can tarot card tell me the name of the person about my query? A. No. It can guide you that what kind of person or how to reach that concerned person. Q. I want to know that how my future will be. Can tarot card give me answer? A. Tarot card reading is usually conducted for 6 months tenure. Answers relating to your future keeping in mind a period of 6 months can be answered. Q. At what intervals should I get Tarot Card Reading done? Q. Can I ask questions relating to my family and friends? ANS. Yes. You can ask.